Glaswegian entrepreneur Tony Stork lives a double life: by day he punts second hand motors in the West End, by night he dons his powerful Irn suit, constructed from girders and fuelled by Scotland’s number one soft drink. There isn’t a hangover invented that can stop him, as he flies around illegally kicking NED’s arses on the streets of Glasgow. 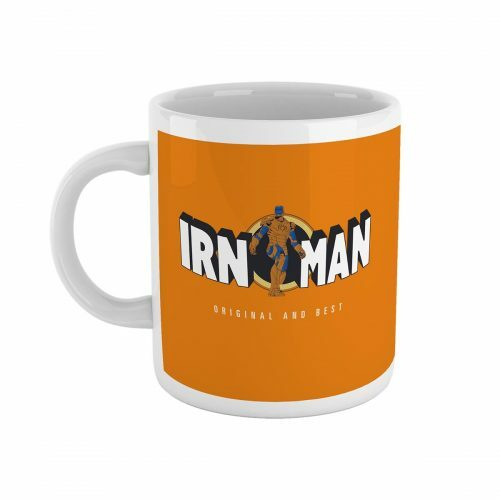 If you’ve had too much Buckfast, watch out – Irn Man is coming for you. 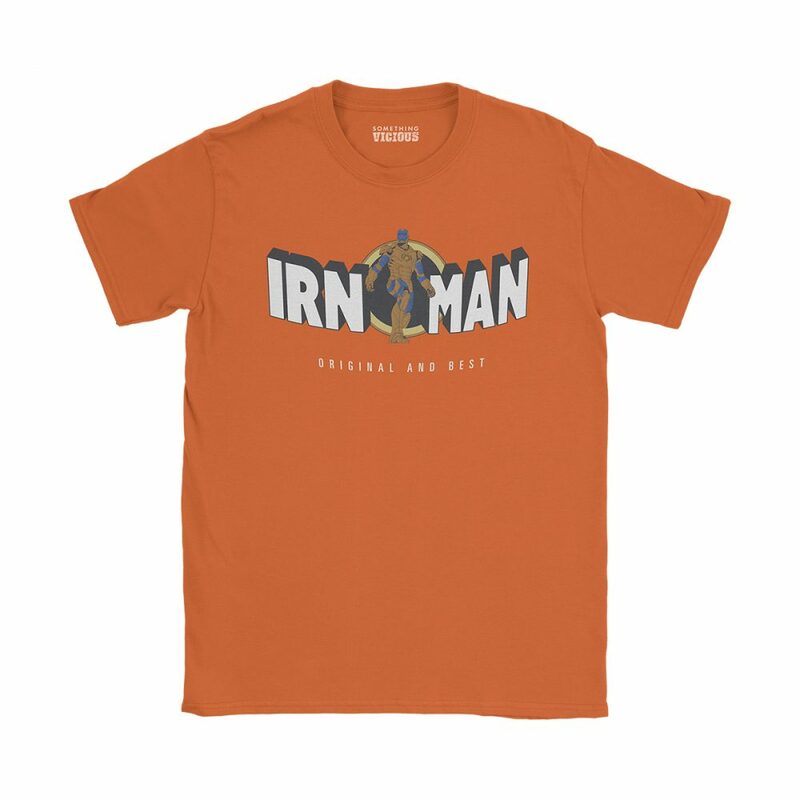 This exclusive T-shirt design, inspired by Marvel’s Iron Man and Barr’s Irn Bru, is printed direct-to-garment using the highest quality ink onto the very best quality soft organic cotton tees. Designed to fit snugly and comfortably, these high quality garments will keep your body looking hilarious for years to come.